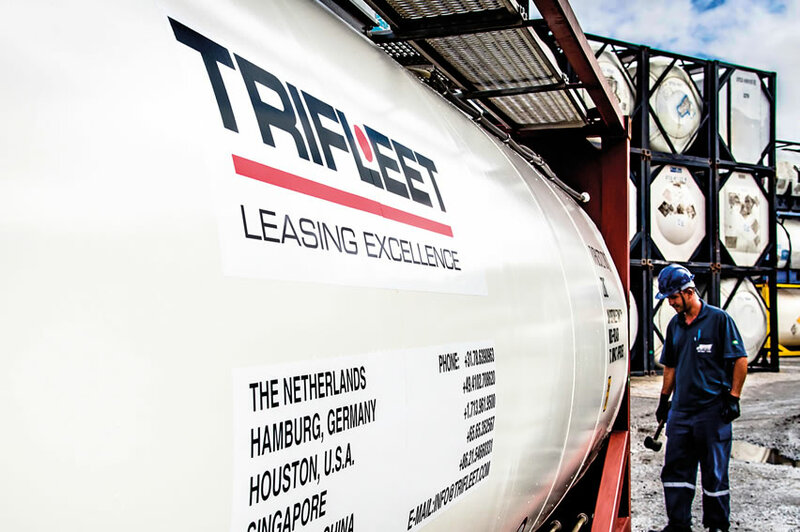 By accessing this website of Trifleet Leasing Holding B.V. and all its subsidiaries (hereinafter referred to as „Trifleet Leasing“), hyperlinked or referred-to websites and the materials and information contained herein, you acknowledge that you have read, understand, accept and agree to be bound by the terms and conditions that follow. This website, including the intranet and/or the extranet, are intended for general information purposes concerning products and services of Trifleet Leasing. No warranty or representation, express or implied, is given as to the accuracy or completeness of any information given, including but not limited to information concerning specifications or technical details, contracts, quotations, calculations of the costs of lease amounts or other calculations and Trifleet Leasing expressly disclaims any liability for errors or omissions therein. To the extent that the Site contains any financial information about the business of Trifleet Leasing, such information has been provided as general information only. It is not intended to be professional advice and you should therefore not take action in reliance of such information contained on this Site, but should rather make your own independent enquiries and seek the advice of a relevant professional in relation to any of the financial information contained on this Site. Users are advised that information on hyperlinked or referred-to websites is neither investigated nor analysed by Trifleet Leasing. 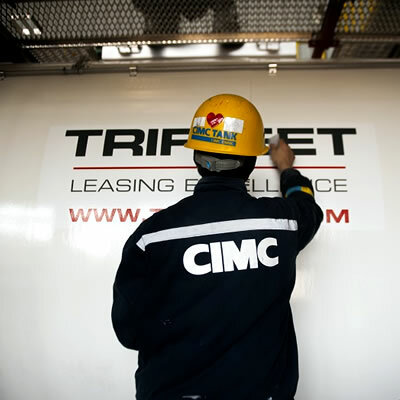 Trifleet Leasing is not responsible for the content of any other internet sites linked to a site. 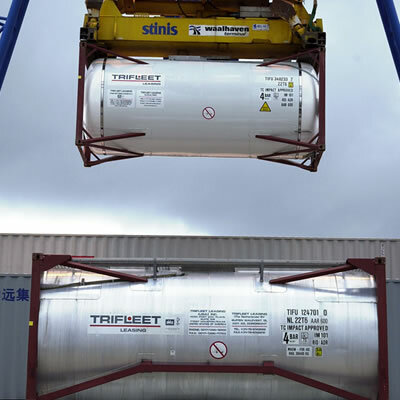 A link to another site is meant for convenience only and does not imply that Trifleet Leasing endorse the site or any products or services that it describes. Your access to and use of any other internet sites linked to or from this site is at your own risk and Trifleet Leasing assume no obligation or liability in connection therewith. Trifleet Leasing reserves the right to terminate any link or linking program at any time. You agree to use this website entirely at your own risk. Trifleet will not be liable for any loss or damage, no loss or damage excluded, from any cause to you or your system caused by or in connection with your use of this site or you linking from the Trifleet Leasing website to any third party’s website. You should take your own precautions in relation to protecting your system from viruses or other malfunction. All information on this site, including but not limited to graphics, text and links to other sites, is provided „as is“ and is subject to change without prior notice. Such information is provided, to the fullest extent permissible pursuant to applicable law, without warranty of any kind express or implied, including but not limited to implied warranties of merchantability, fitness for a particular purpose, non-infringement and freedom from computer viruses or similar disabling devices. Trifleet Leasing does not warrant the error free and uninterrupted service of this website. The site content is protected by copyright. All rights in the pages, site content and arrangement are owned by Trifleet Leasing Holding B.V., its subsidiaries or its licensors. Users are prohibited from modifying, copying, distributing, transmitting, displaying, publishing, selling, licensing, creating derivative works or using any site content for any other purposes than that of this site, i.e. 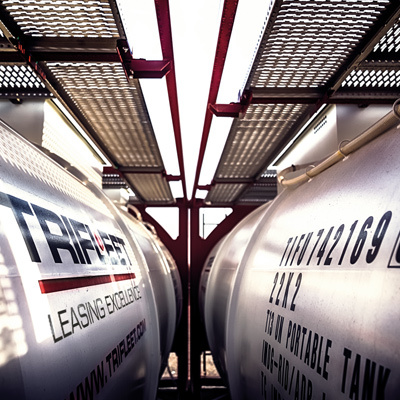 providing information about Trifleet Leasing. The trademarks, service marks and logos („marks“) appearing on this site are the property of Trifleet Leasing Holding B.V. Users are prohibited from using any of the marks without the prior written consent of Trifleet Leasing Holding B.V. Use of the extranet and/or the intranet Trifleet Leasing may, in its sole discretion, grant you access to parts of this site („extranet and/or intranet“) which are not accessible to the general public, via a unique password or other security device provided to you by Trifleet Leasing. The extranet and/or intranet contain information concerning Trifleet Leasing or other third parties which is commercially sensitive and strictly confidential. You agree that any access to the extranet and/or intranet is conditional upon you keeping at all times all information which you access on the intranet in the strictest confidence. You may only use this information and disclose this information to such other persons or organisations and for such purpose as expressly authorised in writing to you by Trifleet Leasing. You will not disclose to any third party your unique password or other security device provided by Trifleet Leasing, nor the fact that you have access to the Trifleet Leasing extranet and/or intranet to any third party, unless specifically authorised in writing to you by Trifleet Leasing. You acknowledge and agree that if you breach any of your obligations regarding the extranet and/or intranet, this would cause Trifleet Leasing or other third parties to suffer financial or other loss and damage, and Trifleet Leasing or any other affected third party is entitled to immediately take whatever action is necessary (including commencing proceedings for injunctive relief) as is necessary to protect its interests and that you will be liable to pay damages, plus all costs and expenses (including all legal costs and disbursements on a full indemnity basis) incurred as a result of your conduct. Purposes, principles and procedure of the processing of personal data Trifleet Leasing will make its best efforts that the processing of your personal data is carried out in such a way that your privacy is protected and safeguarded as much as possible. Trifleet Leasing only collects your personal data to the extent that they are necessary to provide you with our services and to comply with mandatory requirements. For the sake of clarity it is reminded that privacy regulations only pertain to natural persons including partners of non legal persons, but they do not apply to legal persons (corporations) and those acting on their behalf in relation to Trifleet Leasing. Conclude and execute lease agreements, as well as to enter into possible other closely connected agreements. Furthermore, we process your personal data for the sake of preventing or combating fraudulent acts as well as for direct marketing purposes in order to expand our clientele. At all times we only process personal data which are deemed necessary as the occasion arises. So whether it be for instance for executing an agreement or preventing fraud, we will process only those personal data which are adequate, relevant and not excessive in connection therewith. Naturally, we process personal data taking due care towards data subjects and in conformity with prevailing privacy regulations. It should be noted that we may also process your personal data for statistical or scientific purposes with the objective to enhance the quality of our products and services. This kind of processing will be carried out on an anonymous basis and not identifiable to a data subject. Under data protection law, to comply with our legal and regulatory obligations, we can only use your personal data if we have a valid reason for doing so. Outside of our company, we only share data with a third party supplier for the purpose of offsite data backup. All such backups are transmitted and stored in encrypted form (so not readable) in a location within the Netherlands. We only allow our service providers to handle your personal data if we are satisfied they take appropriate measures to protect your personal data. Whilst third party organizations related to IT and software maintenance may have temporary visibility of your information, these organizations do not have permission to use your data and will only be given access if required. We will not sell or lease your personal information to any third parties. We will keep your personal data for as long as is deemed necessary under the terms of our agreement. We will only store your data for as long as is necessary to comply with the requirements and any legal obligations or lawful processing conditions that may exist as a result. You have a number of rights concerning the personal information we use, which you may ask us to observe. Customers have the right to file a request with us in writing in order to obtain information on his or her personal data which are processed by us by automatic means. A first request of information will be complied with free of charge. For possible further requests we may charge applicable fees as permitted by law. Should the information supplied by us contain inaccuracies, then you may request us in writing to proceed to a rectification or erasure, as the case may be. Such request should be addressed to the management of Trifleet Leasing You will be informed in writing within four weeks whether or to which extent your request will be complied with. You have the right to receive the personal data you provided to us, in a structured, commonly used and machine-readable format. 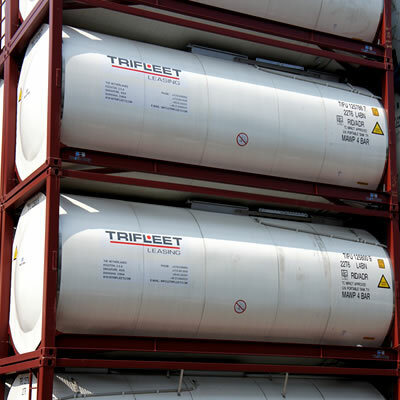 If you do not care to be informed regularly of our products and services you may notify us accordingly free of charge in writing (Trifleet Leasing, info@trifleet.nl). We have appropriate security measures in place to prevent personal data from being accidentally lost, or used or accessed in an unauthorized way. We limit access to your personal data to those who have a genuine business need to know it. Those processing your data will do so only in an authorized manner and are subject to a duty of confidentiality. In order to recognize you when visiting our website, Trifleet Leasing makes use of ‘cookies’, which are commonly used on websites. A cookie is a small line of text that is stored by your browser on your computer’s hard drive. Our cookies do not contain any personally identifiable information. Most web browsers automatically accept cookies, but you can usually alter the setting of your browser to prevent that. Some features of our website, such as personalization and account information, require that cookies be turned on. If you wish, you can turn on browser cookie preference when using these features, and then turn them off when you visit other websites. Section headings are for convenient reference only and shall not affect the meaning or have any bearing on the interpretation of any provision of these terms. If any part of these terms is found to be invalid or unenforceable, it will be severed and will not affect the remainder of the terms, which will continue to have full force and effect. All rights not expressly granted by Trifleet Leasing under these terms are reserved to Trifleet Leasing Holding B.V. This website and these terms shall be governed by and construed in accordance with the law of the Netherlands. Any dispute arising out of or in accordance therewith. shall be subject to the jurisdiction of the competent judge at Dordrecht, The Netherlands.